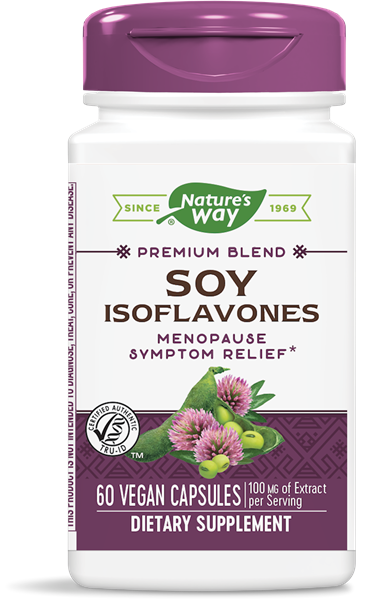 Soy Isoflavone / 60 Caps - Nature's Way®. Soy Extract is standardized to 40% isoflavones. These phytoestrogens are especially helpful to women during the time of perimenopause. Take 1 capsule daily with food or water. Do not use if pregnant, nursing or attempting to become pregnant. If taking any medications, consult a healthcare professional before use.